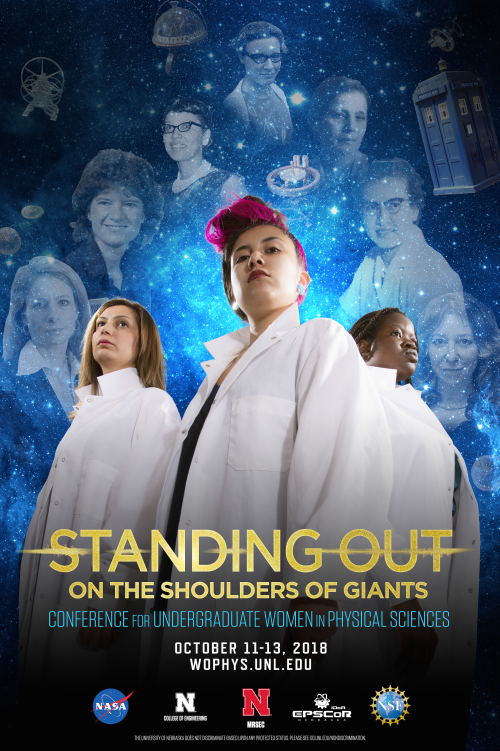 "Standing Out on the Shoulders of Giants"
Registration for the 2018 meeting has been incredible! We have reached maximum capacity and were thus forced to close registration. Please contact Jocelyn Bosley (jbosley@unl.edu) if you have any questions. We are looking forward to meeting you in Lincoln in October! Check out the WoPhyS 2017 Pictures!